The magic of the never setting Midnight Sun combined with the majestic nature of the Northern Norway is sure breath taking. 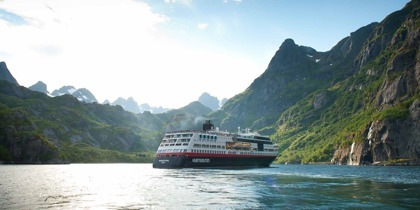 Cruise with the world famous Hurtigruten through valleys so deep on fjords of the colour emerlad green. Arctic Wildlife, the glowing midnight sun and Sami Kingdom. 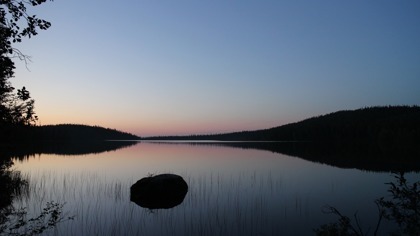 From May to August there is light around the clock. The journey far north of the Arctic Circle, the most beautiful of landscapes; through valleys and mountains covered with a magnificent beauty and fjords that are surrounded by high mountains. The boat trip to the famous Hurtigruten includes the most beautiful section – your journey through the Troll Fjord. Meet the Arctic Ocean and stand on the northernmost point - the North Cape cliff that plunges 307 meters straight down into the sparkling sea. Europe's northernmost jewels - a journey in the pristine and powerful nature far north. The journey far north of the Arctic Circle, the most beautiful of landscapes; through valleys and mountains covered with a magnificent beauty and fjords that are surrounded by high mountains. The boat trip to the famous Hurtigruten includes the most beautiful section – your journey through the Troll Fjord. A magic experience under the never setting Midnight Sun.